Suggestion time! 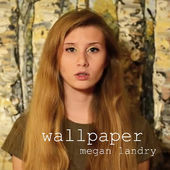 Megan Landry commented on my suggestions page and posted a link to one of her own music videos, risky but clever. First off I want to say sorry it took me eight months before actually reviewing it, but I've been blogging infrequently this year, and only recently started publishing daily, and I only just checked my suggestions and I saw it there. Powerful, innocent and deep, Megan Landry shows us, that as children, we are influenced easily whilst growing up, what we saw, listened to and where we grew up could influence where we are now and who we are, and yet it's us that gets us here. Every person we pass was just a child, like the ones featured in the video. Megan Landry, 19, is from Ottawa, Canada. She has a total of 20 videos on her YouTube channel, over 8,000 subscribers, and plenty of songs on iTunes. Recently she has released "Stills", her debut album. Her voice is powerful, authentic in a current way, and her songs are clearly filled with passion. The way she is going, all she needs is more promotion, and she'll be topping charts around the world. Watch out for this girl, if she doesn't become something soon, the music industry will be missing someone amazing! The music video was self-made, directed by Megan Landry, she proves she has the perfect ideas to go with the perfect songs. The start is insightful, little clips that show what is happening in the world, it's explained later, showing what the children probably became. With this sort of stuff surrounding them it's not surprising. Children are so innocent, and I totally do miss those days. This really packs a punch and make you see how influence can shape a person, how everyone you pass and meet all were just as innocent as you once were. As for the performance side, Megan Landry is strong, full of emotion, and intense, reminding me of Diana Vickers. Her voice is perfect and she hits all the notes. The video interprets the song just right, this is one low-budget video that I won't be forgetting because it's so good! Just as a side note, the girl is using a vapour cigarette and not a real one, obviously.